Delnero's old coal forge is fired up. 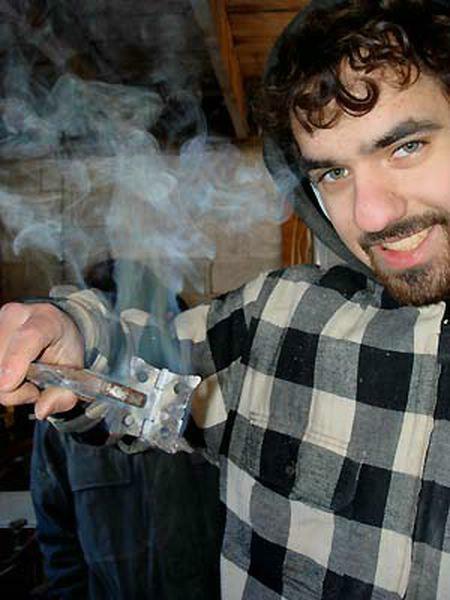 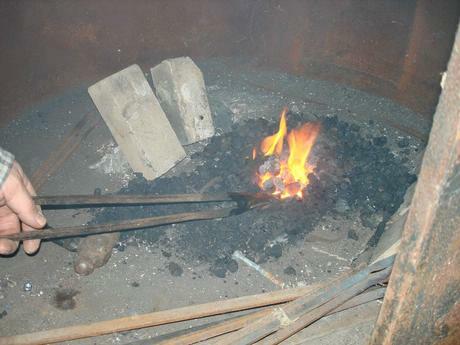 Using the forge to heat a butterfly hinge. 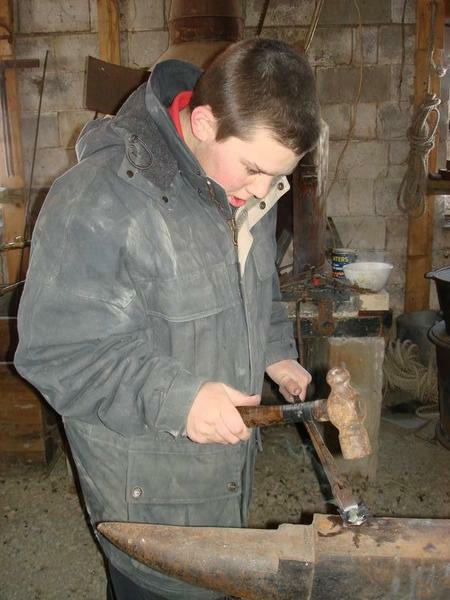 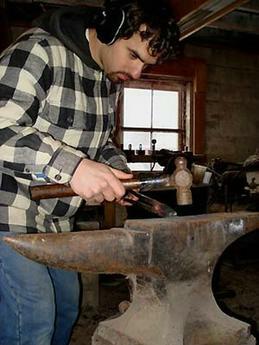 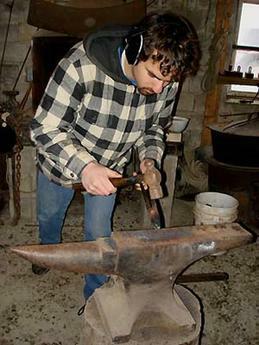 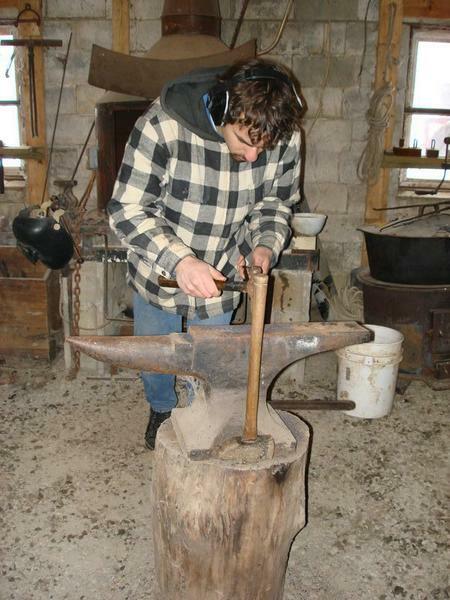 Justin prepares to take a heated hinge to the anvil. Forging a hinge to rough shape. 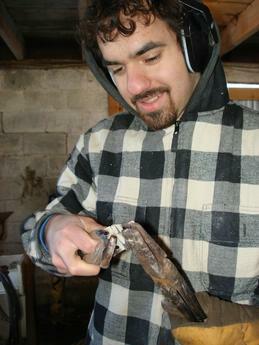 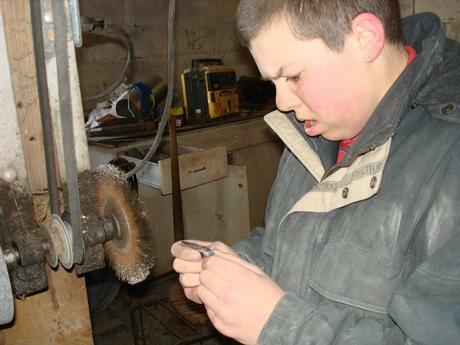 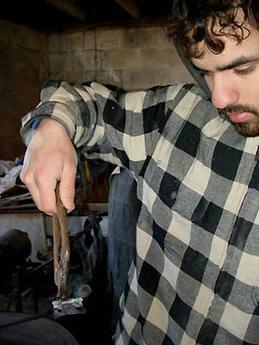 Justin forges a hand made cut nail. 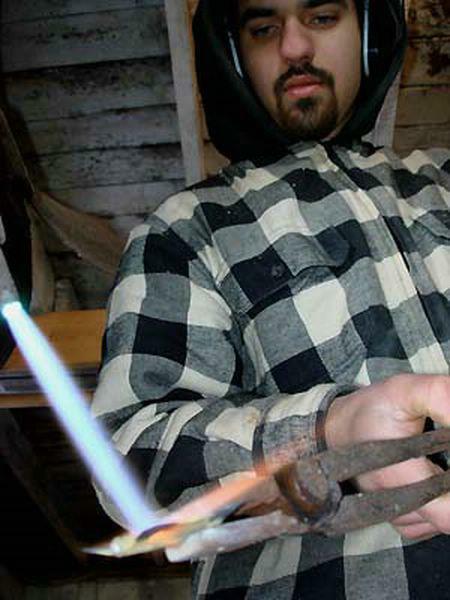 Making a hand forged nail. 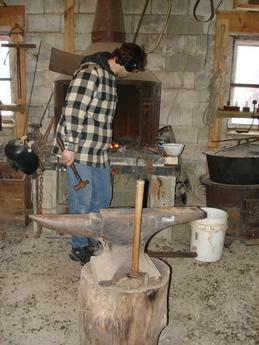 Using a gas torch to heat the hinge for the final shaping. Close-up of the torch work. 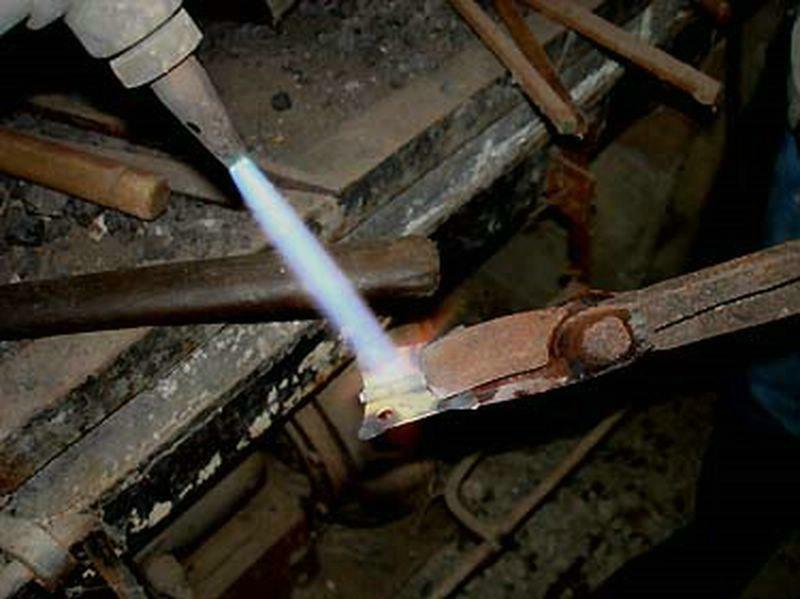 Close-up of the torch and hinge. Cooling the hinge after shaping. 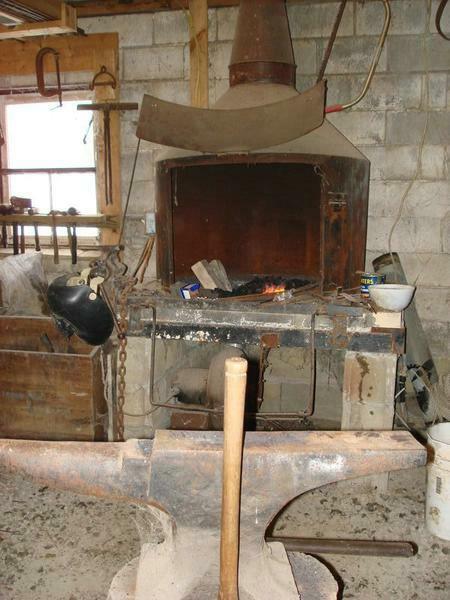 The cooling process must be done slowly. 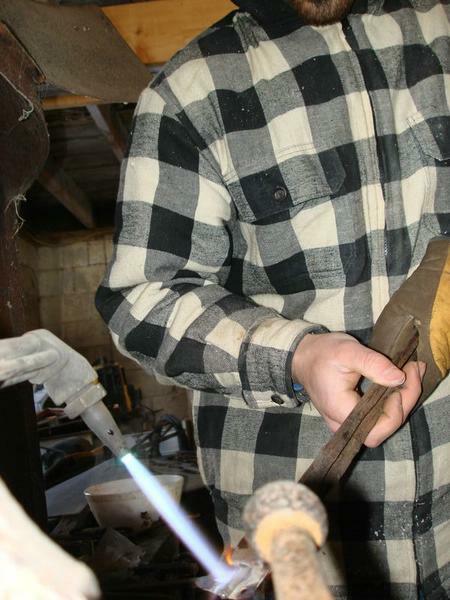 The hinges needs to be "worked" back & forth through the cooling process. 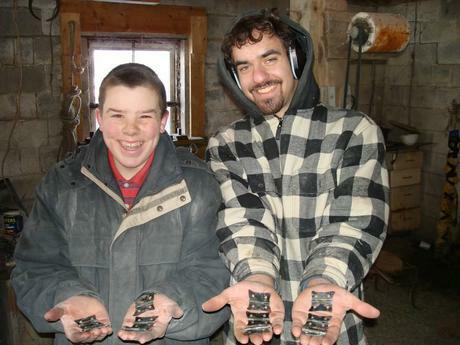 A really good day's work!